Choosing a Safe Clinic can be Daunting! Our patients say we provide a Safe, Peaceful and Tranquil treatment environment. All treatments are overseen by Julie Scott (RGN & Nurse Independent Prescriber), with over 25yrs Cosmetic Medical skin ageing experience. Experience a different level of treatment. Call NOW for your Customised Free Skin Consultation. In the words of our Clinical Director Julie Scott - "We are a well-kept secret, with clients generally referred through word of Mouth." 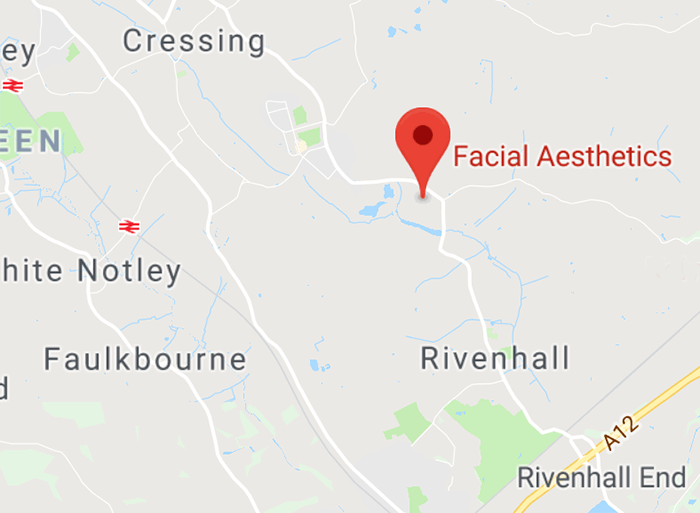 Our Company Ethos - "You are an Individual - We will devise you a customised treatment plan for your skin needs"
Also see what our Clients say about Skin Treatments in Essex on our Google + Page. "Meet the Best Kept Secret, your Skin Saviour!" “I want to provide the best possible patient care to resolve underlying skin concerns. Following a detailed medical consultation and skin assessment, I will create a customised treatment plan for your specific skin needs. Maintaining, treating and protecting your skin holistically, improving texture and tone to restore your inner confidence!” – Our Clinical Director Julie Scott. "We strive to treat all concerns with dignity and privacy, providing individually tailored treatments for skin health. Always utilising advanced, scientifically-proven treatments and products, so you look and feel your best whatever your age." "We only use safe, clinically proven products which have been rigorously researched and provide highly effective results. All patients receive a full and confidential consultation, assessment and information, with time for reflection before treatment or procedure." "We provide a ‘boutique clinic’ set in picturesque surroundings; getting to know you and your specific lifestyle, skin concerns and .... expectations! We don’t believe in one size fits all and treat how we wish to be treated." Bespoke solutions to the radiant new YOU! Our Facial Aesthetics Treatments utilise the most up to date skin science to maintain, protect and enhance your skin’s health. Our clients certainly agree we are the best for Skin Treatments Essex. Making you feel better about yourself. “At Facial Aesthetics Essex we use a process known as Thermocoagulation which seals the thread vein walls, causing them to instantly disappear, making you feel less self-conscious about yourself. We have successfully treated Thread Veins, Spider Veins and Facial red Veins for over 15 years”.